Womens classic waterproof coat. Green, Navy. Sizes 10-20. 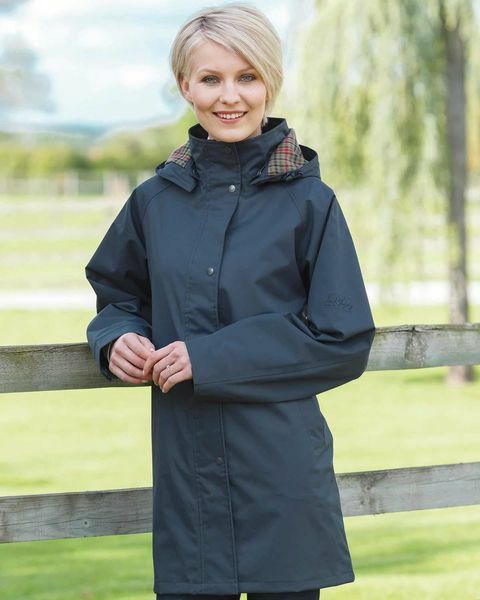 Traditional style waterproof and windproof ¾ length coat. Finishing touches include warm check lining, two way zip and popper fastening. Detachable hood and large back vent for easy movement. 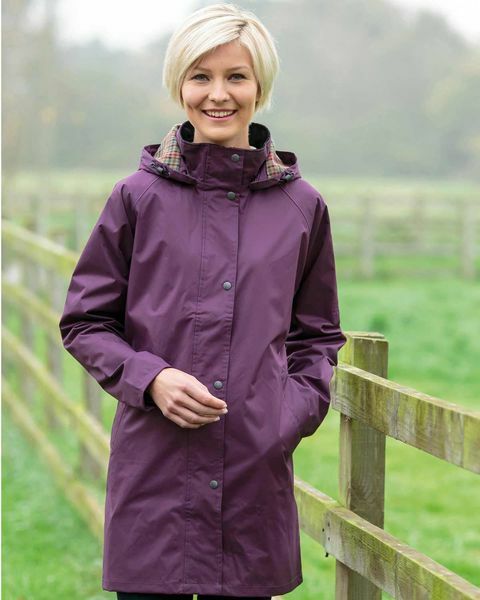 A stylish yet practical garment that will keep you dry on rainy days, with a choice of colours to compliment any wardrobe.